VGA output converter for our development boards. Ready-to-Go solution! 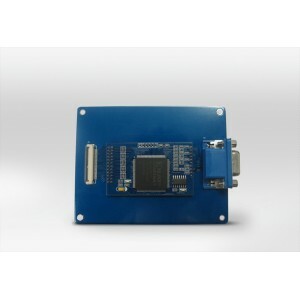 With this converter you can directly connect our boards to your PC display with a resolution up to 1024x768 pixel @ 75Hz. It's been tested and proves its practical use, all the released VGA converter boards are performing perfect, absolutly no blinking under 1024x768 pixels resolution, no screen tearing, no time delay! It supports all the LCD displays on the present market, it can be used for industrial control displays. We updated the PCB to version 2.0 now, using a XILINX Spartan FPGA. We shrunk it to 5x3.3cm board. It can now be easily used to embed into own designs. 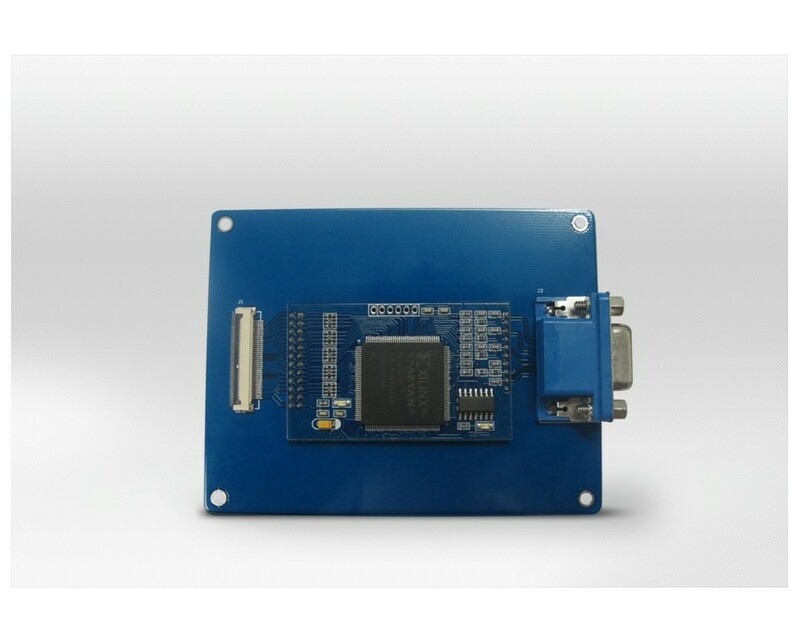 To maintain the old dimensions, a carrier board is made, which holds the VGA connector, the FPGA board and the LCD connector.